Come and be inspired by art! 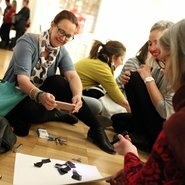 At our regular teacher salons, you can view the latest exhibitions, explore ideas with Gallery experts, and ignite your creative approaches in the classroom. You may also choose to stay longer and network with your colleagues at the Gallery’s regular Art After Hours program. In this salon, you’ll hear about our 2019 education program followed by a teachers party and viewing the exhibition Masters of modern art from the Hermitage. 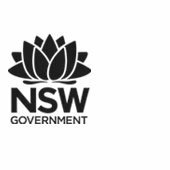 The Art Gallery of NSW is endorsed to provide QTC Registered Professional Development for teachers accredited at Proficient Teacher level. Completing the Teacher Salon will contribute 1 hour of QTC addressing 2.1.2, 2.2.2, 3.3.2, 3.4.2, 6.2.2 and 6.4.2 from the Australian Professional Standards for Teachers towards maintaining Proficient Accreditation in NSW.